When it comes to making a homemade meal, few things can compare to the sense of accomplishment of using your own home grown vegetables. But growing you own vegetables can be a real challenge if you don’t know what you’re doing. If you are like me and want to give it a try, then use these simple tips to help you start growing root vegetables at your home. Like growing most things in your garden, one of the most important elements is water. If you don’t water your vegetables enough, they simply won’t grow. If you are like me and can easily forget to water the garden, then perhaps anirrigation system is a better option. Irrigation system allow you to set and forget, without the consequences of over or under watering plants. Most systems will allow you to allocate period of the day to water, how much to water and help ensure that your new vegetables get the sustenance they need to thrive. Root vegetables, like a lot of other plants or flowers, actually thrive in a raised environment. That means when you are preparing your garden, consider installing a raised garden bed. The reason that root vegetables thrive in a raised bed, is because they grow much better in loose and well-draining soil. Loosening soil and ensuring a good drain can be very difficult when planting directly into the ground. If you have raised bed already, then consider this space if you can as your first choice when planting. If you don’t have raised beds, then perhaps consider the space you have available for this type of solution. As already mentioned, root vegetables prefer loose and well-drained soil, but they also need the right mix of soil, compost and fertiliser to sprout properly. When preparing your soil, you should aim to mix through five inches of compost or manure to help provide the best growth conditions. When choosing a fertiliser, avoid those with high concentrations of nitrogen and instead opt for a more phosphorous-based option. Root vegetables can be quite particular about the mix of soil, but if you follow this advice, you will create a good base to grow from. Root vegetables, as already touched on, can be quite particular about their planting conditions. So it is no wonder that the distance between each seed or vegetable planted is also very important. A general rule of thumb for most root vegetables should be to allow a minimum of three to four inches between each plant. For potatoes, however, you will need even more room, with at least eight inches recommended. The spacing is very important as it allows each individual plant to sprout and build a strong root system which is integral to healthy growth. This is probably one of the easiest steps to get lazy on, but if planted too close, the plants will hit a wall and growth will be stunted quite dramatically. The last tip for growing root vegetables is one which is applicable to any garden, anywhere. The simple tip of keeping your garden beds weed free. Spend time each day inspecting for any signs of weeds, and remove them at first sight. Weeds can interrupt the growth phase of root vegetables, which can in turn stunt growth. Be careful to remove weeds slowly and at their root to minimise disruption to the vegetable roots. Growing vegetables in the garden is a great way to transform the meals you create at home. But they are also an extremely rewarding option for any garden. However, the right conditions and care are needed to achieve good growth. 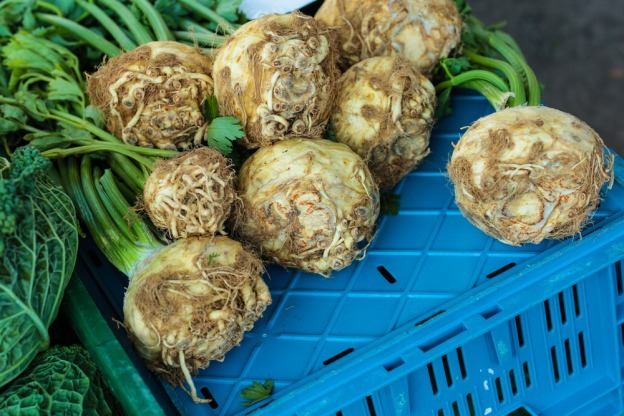 If you want to start growing your own root vegetables at home, then use these simple tips to help get you started on the right path.